Since the end of last year the amount of clothes in my wardrobe that I did not wear was piling up. It made looking for something to wear time consuming and a hassle. 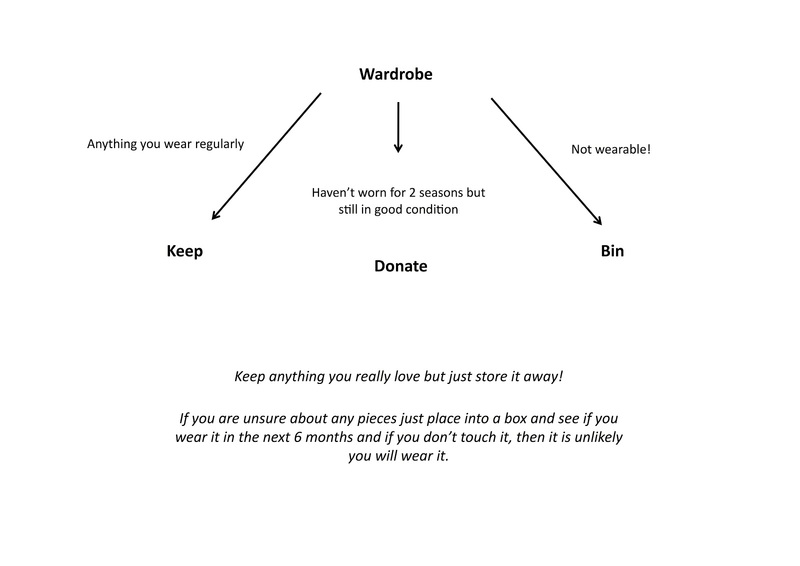 Now, I am cleaning out my wardrobe and going back to SQUARE 1 - just basics. I have to say cleaning out a wardrobe is not easy! There is always the thought that “you might need or like this later…” so this is what I used to help clean my wardrobe out. Very sensible way to edit your existing wardrobe- bravo!